Microsoft Edge is a web browser software developed by the Microsoft and it is comes preinstalled in Window 10, Window server 2016, Xbox One and the Windows 10 mobile operating system. The project was codenamed Project Spartan, Microsoft Edge was initially released on with the first release of Window 10 operating system on 30th March, 2016. It is meant as a replacement for Internet Explorer and serves as the default on Windows 10 OS. Microsoft Edge has the 32 (x86) bit version and 64 (amd64) bit version. 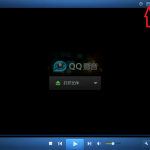 It is present in the Window 10 Operating System (OS), Windows Server 2016, Windows 10 Mobile and in the Xbox One. It uses the Chakra and the EdgeHTML (a fork of the trident engine used in Internet Explorer) engines. Microsoft Edge has two major releases, the stable release and the preview release. 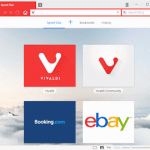 Microsoft is one of the world’s most popular web browser as it comes preinstalled with Window 10 and in order to use Microsoft Edge more effectively, faster and efficiently. One needs to have the knowledge of Microsoft Edge inbuilt keyboard shortcut and hotkeys. So now we will be looking the Top Microsoft Edge keyboard shortcut and hotkeys every Microsoft Edge web User is expected to know and master in order to navigate through the web browser faster, thereby resulting in great productivity for the end user. Used in the address bar or search bar, when you have inputted a website or a thing to search for. Go the search bar or website input bar. 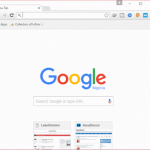 Clear browsing data in Microsoft Edge browser. To move between tabs from left to right. For example, Ctrl + 1, the first tab from the left, Ctrl + 7, the seventh tab counting from the left. To move to the last tab, that the last tab on the right. 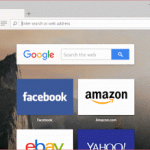 Close current tab in Microsoft Edge browser. Go to the favourite window of Microsoft Edge Browser. When using the address bar, it adds the www and .com to typed word and goes to the address. For example, if you type aboutdevice, and then press Ctrl + Enter, it becomes www.aboutdevice.com and then it goes to the address. Find something on a webpage in Microsoft Edge. Add a website or webpage to bookmark. 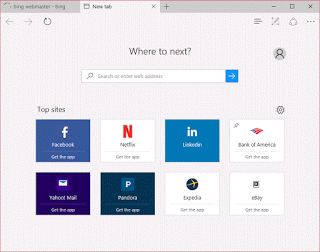 Open new Microsoft Edge Browser window. 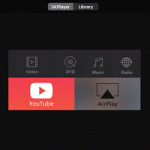 Select to turn on Caret browsing. Yep, these are all the Keyboard shortcuts or hotkeys I think all Microsoft Edge Web browser user should know and use them while browsing the Web.